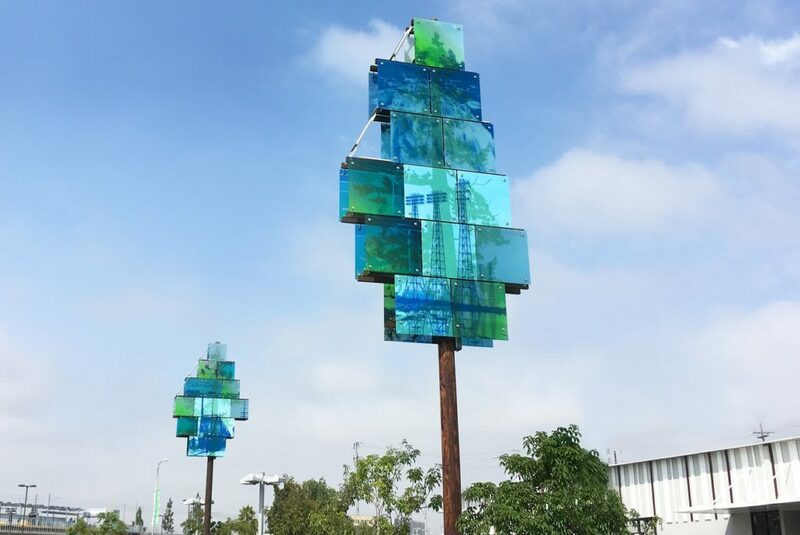 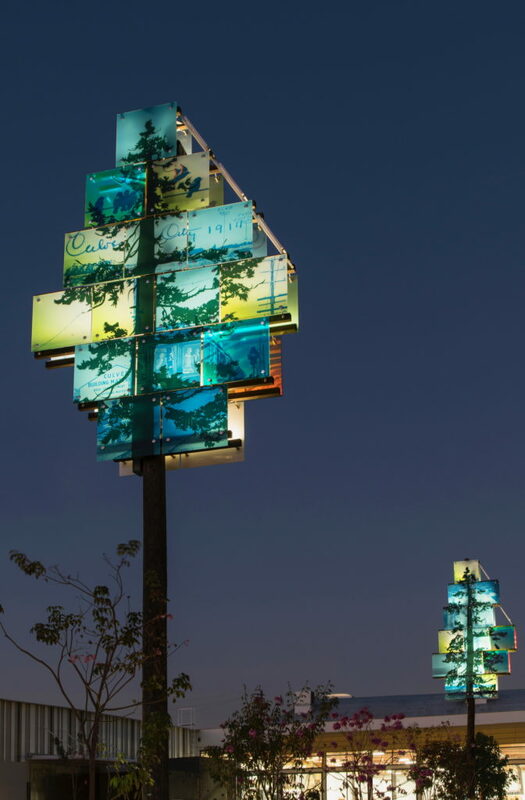 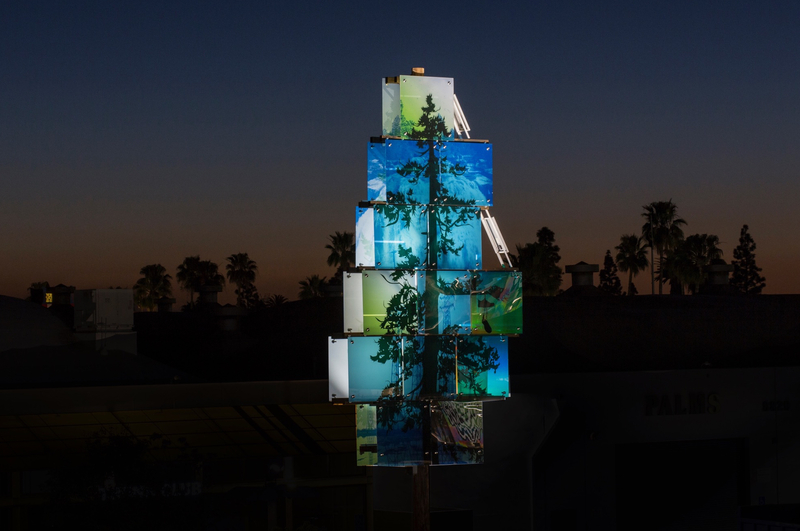 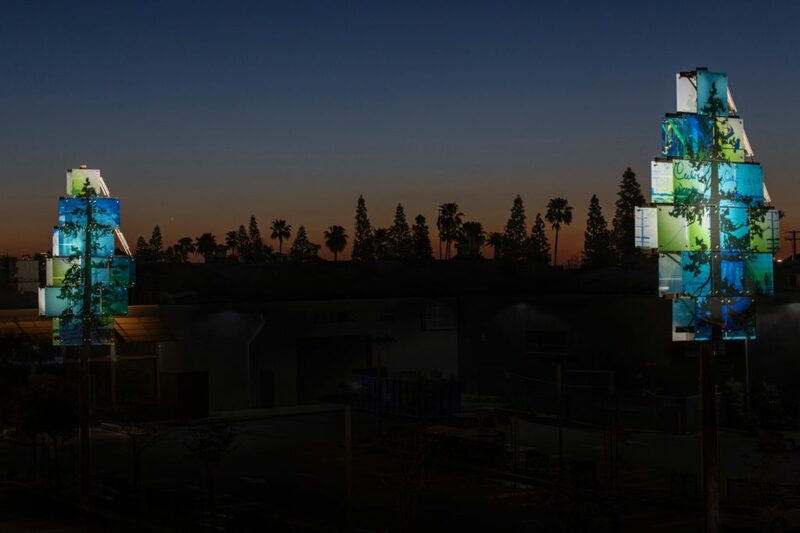 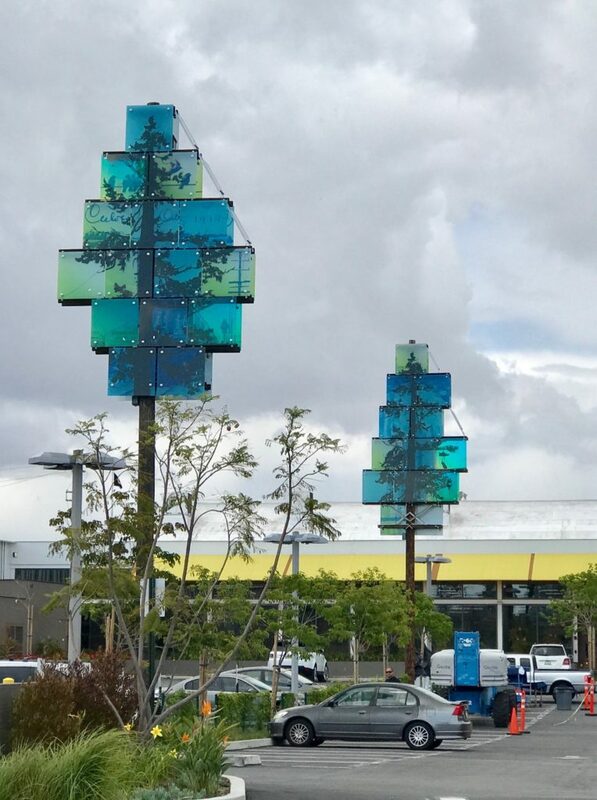 “Old Growth New/Now” is an exterior public art installation in Culver City, CA, in a parking area of a retail/office complex opposite the metro rail station. 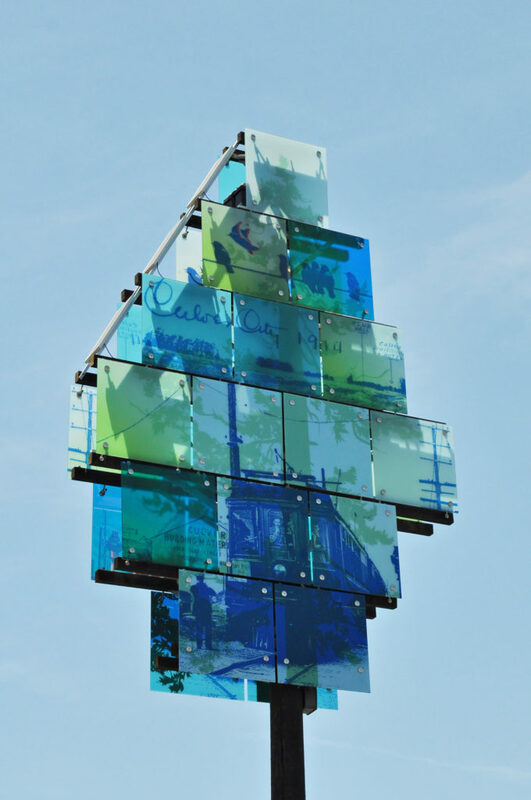 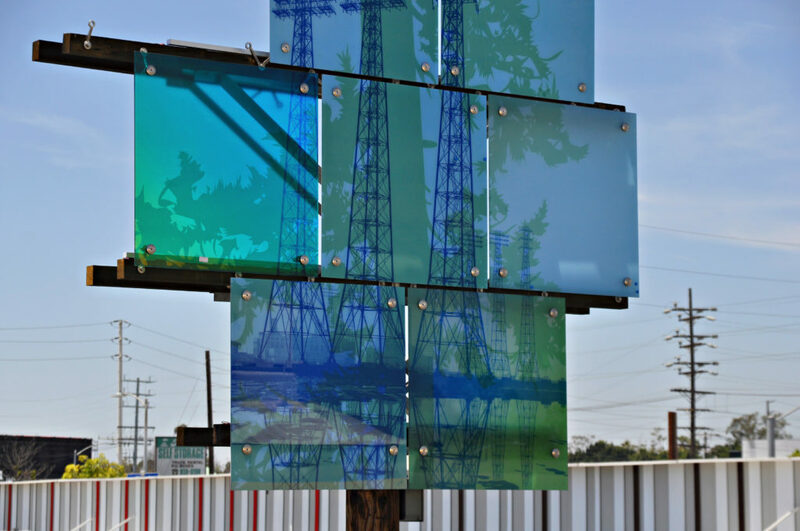 The artwork is composed of 56 pieces of low iron, point supported glass, hung on two 40’ tall wood utility pole structures. 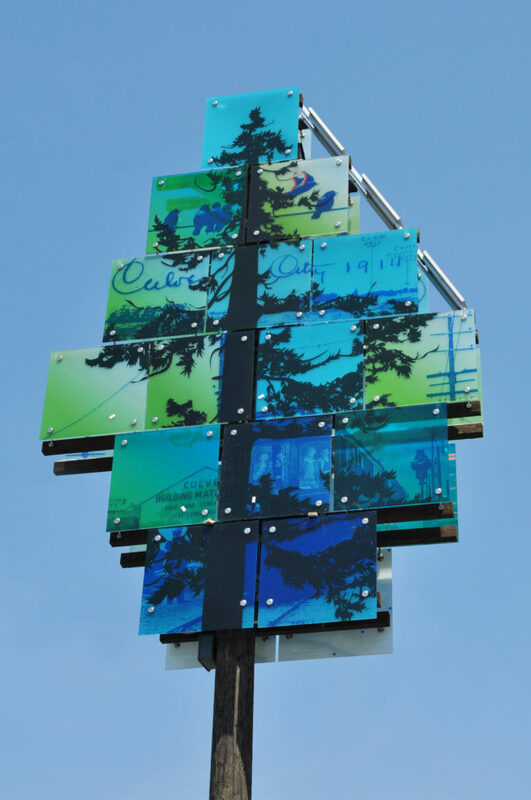 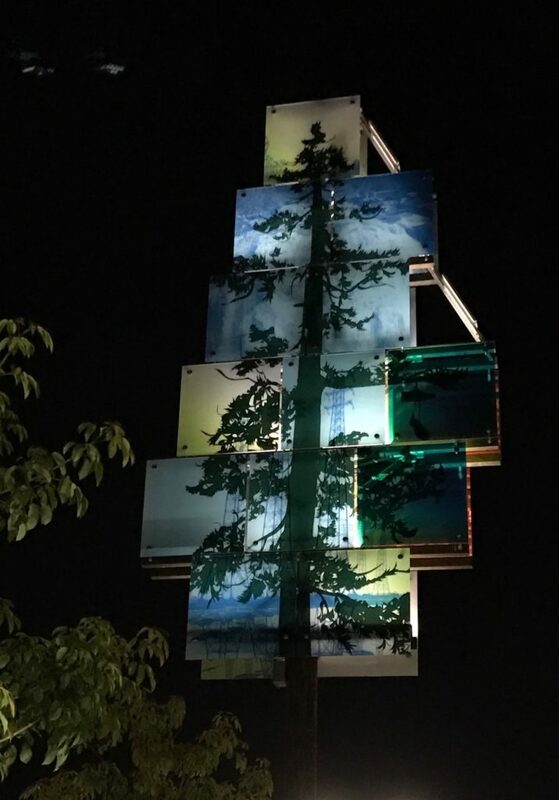 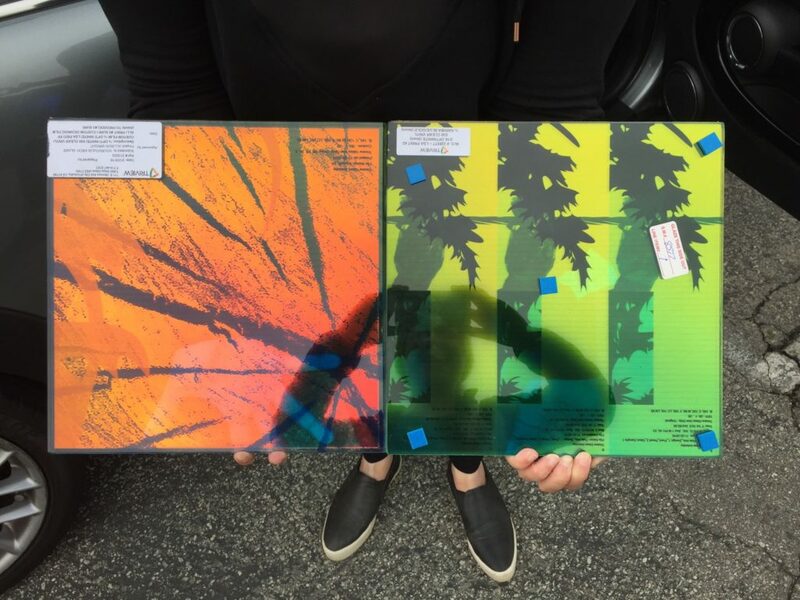 The digital printed images on the square glass panels form a Douglas Fir tree (the origins of wood utility poles) on one side and incorporate historic images from the early 1900s when electricity aided the development of the surrounding community. 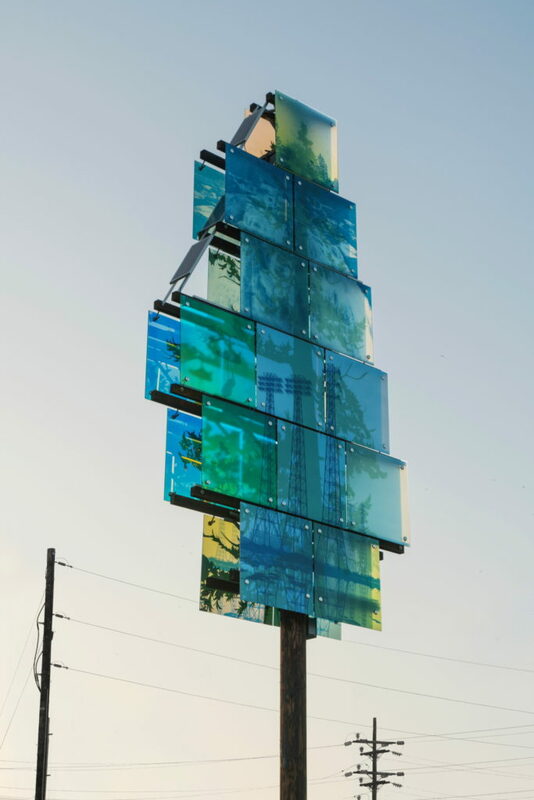 The glass is night illuminated by LED strips powered by solar panels.